← New York’s Largest Garlic Festival Coming on September 27-28! This will be a fun family festival with the focus on local Catskill food and products. Singer Natalie Merchant will be the headliner this year. Thousands will attend this two day affair which is held on a beautiful country farm just outside of Delhi, New York (Delaware County). Events include everything from a petting zoo to giant puppets to workshops on brewing! 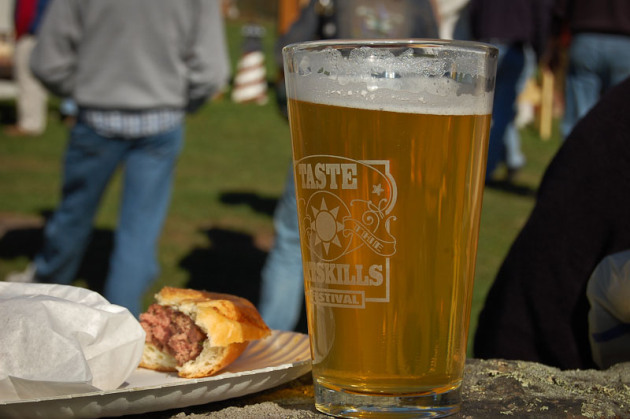 Enjoy a Taste of the Catskills This Weekend in Delhi!In "Delaware County"
Firefest 2013 Comes to Maple Shade Farm in Delaware County! Bring the Family!In "Delaware County"
Stamford, "Queen of the Catskills," Hosts Annual Scarecrow FestivalIn "Delaware County"
This entry was posted in Delaware County and tagged delhi, taste of the catskills. Bookmark the permalink.